World-class museums? Engaging attractions? Amazing architecture? Check, check, and check. 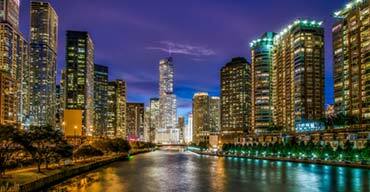 The city of Chicago is top rated vacation destination because it boasts this and so much more! During your trip, visit of one of Chicago’s unexpected beaches, explore Millennium Park, tour the Art Institute of Chicago or go under the sea at Shedd Aquarium. No matter how you decide to spend your time in Chicago, Tripster can help ensure you save money and have a guaranteed good time. While many think of travel and vacation as a luxury, we believe it’s a way of life. However, that doesn’t mean you have to break the bank every time you go on a trip. This rings especially true for those who want to travel to Chicago, but aren’t keen on shattering their budget. Luckily for them, there’s a ton of free things to do in Chicago. 31 and counting to be exact. The idea that traveling to a big city will eat a hole in your wallet is entirely false. Between the airfare and the cost of a hotel room, people believe that a vacation in the city will cost an ungodly amount. 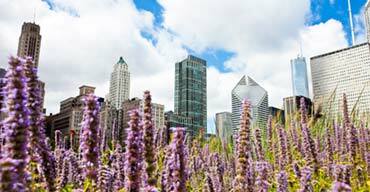 Traveling to a city such as Chicago doesn’t have to eat away at your savings account. You can enjoy the beautiful city of Chicago and save money if you plan accordingly. Use these tips to help plan your vacation to Chicago on a budget. When deciding where to go for a family vacation, Chicago might not be the first place that comes to mind. However, once you learn about all of the wonderful attractions and activities available in Chicago for kids, I guarantee you’ll start planning your trip right away. 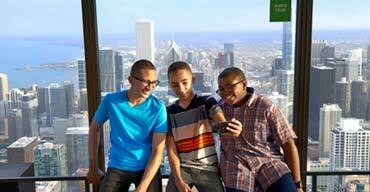 Make sure to these kid-friendly attractions while vacationing in Chicago with your family.